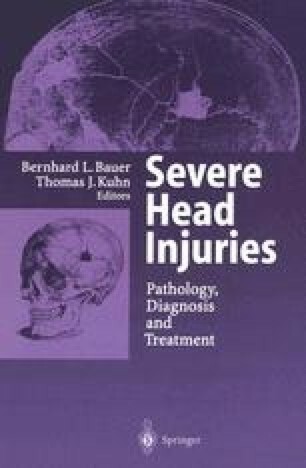 Following severe head injury (SHT) cerebral function in spite of consciousness, motoric and cognitive ability cannot be restored without special measures. Vigorous treatment are required to achieve the best outcome for the patient. In order to make full use of the remaining functional capacity of the brain the process of rehabilitation must begin in the acute phase of treatment and continue without a break in the rehabilitation center. The complexity and the interrelated nature of the various lesions necessitate a comprehensive and well thought out plan of management comprising therapeutic, diagnostic, and social elements. Such a concept in turn requires a specially equipped and staffed hospital, and in this way neurotraumatological rehabilitation has developed into an independent discipline [3, 7].